The System is more than a book of techniques, it is a complete horse training philosophy based on three principles that are over 2000 years old. The purpose of The System is for all owners and their horses to succeed at any level, safely. Renowned professionals Lara Beth Poynton and Nigel Anderson have combined their research and expertise to develop The System, which has been tested on over 1000 horses, including wild mountain horses and international racehorses. Horse training with The System is clear and simple for the horse and trainer to understand. Whether you are a beginner or a professional, whether young or old, the techniques taught in this book are highly effective and the results will last forever. I'd seen the videos, then I saw the real thing. This pair of trainers are instant stand outs and very likeable. Lara and Nigel also really care. I think this last of paramount importance as although it's all about the horse, the Humans can be fragile and need good humour and a positive boost to get all round confidence. This obviously leads to a better result with the horse side of things. the System sounds simple, is simple but requires what all good relationships do; dedication, persistence and genuine affection between equine and enthusiast. This book is well worth having as a training aid and I cannot recommend the authors highly enough! Splendiferous stuff. 5.0 out of 5 starsTje system fixed my horse! Walks on the float first go! The system help me overcome issues without feeling like I had to punish my horse. The system taught me how to give my horse confidence and to have trust in me. He has a lot more respect for me, and we use techniques from the system in more than just float loading. My horse now walks on and off the float, 1 step at a time as I now have control over every step he takes. 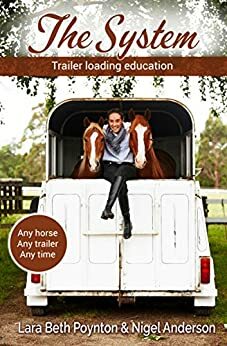 Having had the opportunity to learn from these two amazing and incredibly passionate people, I now have the confidence after only riding horses for almost 4 years to train almost any horse how to load on to a float or trailer. The System works. Lara's passion for helping horses shows with this simple but effective method. I'm sure many horses will thank her for this stress-free system that gives their owners the ability to load and unload them safely. 5.0 out of 5 starsFinally we have horses that load without a problem! I love this book - it has been a saviour for us. Finally we have horses that load without a problem. It is well written, simple to follow and understand. It all makes so much sense when you read it.